I’m writing this post more than a week after my birthday, but I thought there is something special this time, which is worth mentioning. 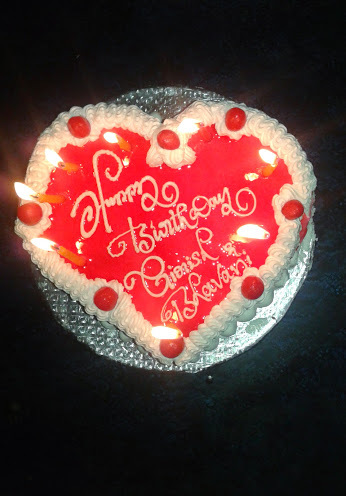 This year, I celebrated the bithday with someone really special, my fiance!!!! The strange part of it is that, both of celebrated our birthday at the same time. He was born on 21st Nov and I was born on 22nd Nov. As he is at Michigan, When its 22nd November for me, due to time zone differences, it’s still 21st for him. There was another name added to my birthday cake this year!!!!!! The happiness doubled!!!! This is amazing.